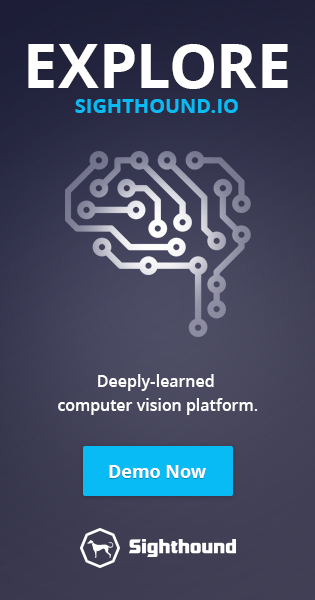 Companies needing to access computer vision through a cloud API have many choices. Whether it’s Amazon’s Rekognition or Microsoft Azure Cognitive Services, or a support-focused specialist provider like Sighthound’s own Cloud service (Sighthound Cloud API), there are several ways to add vision intelligence to applications via an API call through the ether, and most of them work pretty well. Most computer vision however is at the edge, because the camera is at the edge. Want to have your self-driving car sending decisions about things not to hit to the cloud and wait for the reply? Thought not. That’s why most of Sighthound’s business is on-premise or on-device systems. But, we were holding ourselves back. Throughout most of last year we supported Linux Ubuntu only. Now, the Windows version of IO is available. So whether you are looking to incorporate ALPR into your parking systems, or customer reacquisition into your loyalty program, or retail analytics into your intelligent digital signage, you now have the combined power of Microsoft’s OS and Sighthound IO at your disposal.